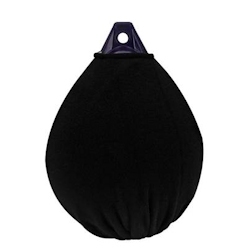 Polyform FenderFits Fender Covers are knitted on state-of-the-art machinery and are then hand-finished by professional seamstresses. Finally, each cover is individually inspected before being packed. Select Color, Rope Thickness: 1/4" - 1/2"
Select Color; Fits Rope Thicknesses: 1/4" to 3/8"
Select Color, Rope Thickness: 1/4" - 9/16"
Polyform A-4 Commerical Grade Buoy / Fender - 20.5" x 27"
Size: 20.5" x 27", Boat Size: 50' - 60', Buoyancy: 187 lbs.